It never fails. The question of where to eat becomes the main topic of conversation with just about everyone at one time or another. Whether it is picking the perfect place for a first date, hosting a business lunch or figuring out “what you are in the mood for” while shopping, after work, or on the weekend, Mary Brickell Village restaurants offer the perfect place for every occasion. Dining Out on Date Night/Special Occasions. There is nothing like going out to dinner (or lunch) in Miami – especially in Brickell. For special occasions like anniversaries, date night (first ones especially! ), or any night that you need to feel a little nurtured, plan to dine at one of the chic restaurants at #Mary Brickell Village. At any of these, it is all about ambiance. 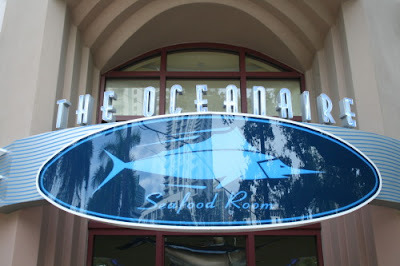 A favorite of locals and visitors to Miami love the Oceanaire Seafood Room. 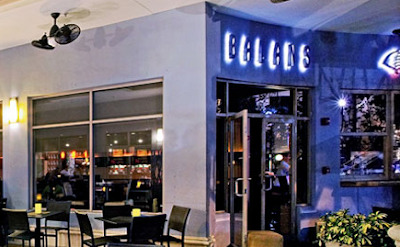 From the dim lighting to the rich looking décor and large wine glasses to the fresh seafood delicacies, this is always a top recommendation from most anyone who lives in Brickell and other parts of Miami alike. One very nice touch that sets it apart from other area establishments is that the chef has the menu reprinted twice a day so that they are on top of the local catches they get. Another wonderful place for family and friendly get togethers is Toscano Divino. When we say it is some of the best Italian food you will ever have, we mean it. OMG! No matter the simplicity of the meal (after all, it is pasta), the flavor is something to be savored to the point that you enjoy each bite. Add to that an incredible wine list and you are guaranteed a perfect evening. Make sure to get there a little ahead of your reservation so that you can have a drink at the bar then eat inside or outside. No matter the atmosphere you will have a great meal. Just Grabbing Dinner on the Fly. There are a few restaurants at Mary Brickell that are perfect when you are just grabbing dinner on the fly. One is Balans. It has a nice atmosphere with good food that is not too terribly pricey. There always seems to be a wait which means a lot of people like to eat at Balans so seating yourself at the bar is a good plan. Speaking of the bar, Balans always has Happy Hour specials with food and drinks so sneak in a little early for a light dinner. We cannot forget to mention PF Chang’s – a favorite of anybody anywhere. Have you ever wondered how many Lettuce Wraps they make each day between lunch and dinner? While so many visiting Miami want to dine at new places, PF Chang’s is one of those fall backs when everything is jam packed. You can always count on a good meal and nice wine. Wanting Something Really Casual. When you want something really casual, there is nothing like a good juicy burger from Burger and Beer Joint. You can build your own burger or order one of their specialties off the menu and enjoy onion rings and ice cold beer with them. It does not get much better than that. When your inner Southerner takes over, you need to have dinner at Brother Jimmy’s. The South (no not Florida) is known for its barbecue and in North Carolina alone is a big barbecue state. At Brother Jimmy’s, everyone can have some of the best NC barbecue as well as other Southern specialties like fried chicken and catfish or burgers and salads. 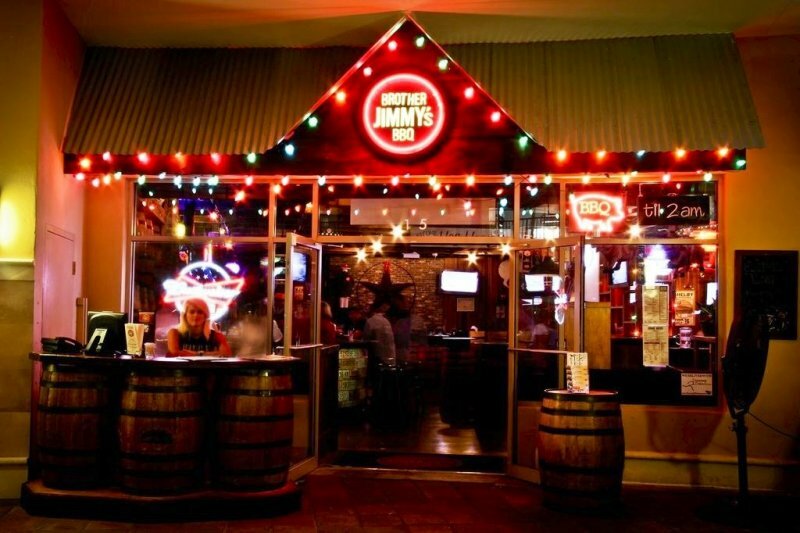 No matter what, you know you are going to have a great meal that is not the typical “Miami fare.” Brother Jimmy’s is great for a weekend lunch or dinner at the end of a day of shopping. Mary Brickell Village definitely has some great restaurants. No matter your craving or the amount of time you have, you can guarantee that you will find it there. Whether it is a simple business lunch, a lavish dinner or just a quick bite, Brickell residents and visitors always go to Mary Brickell Village.